I kept my word this time and made those Cretan treats I promised! 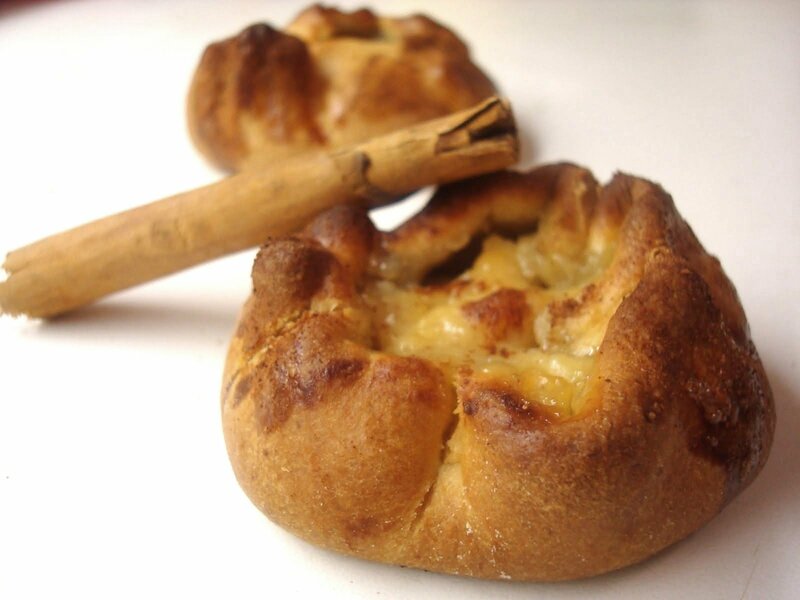 They are called Lihnarakia and they basically consist of a sweet pastry enclosing a lemony, sweet, cheesy filling. And of course, with a good sprinkle of cinnamon on top. It was a bit of an adventure: Not only I’m not experienced with pastry, but I had never tasted one of these before today. Or seen one actually. But the idea sounded pretty good. 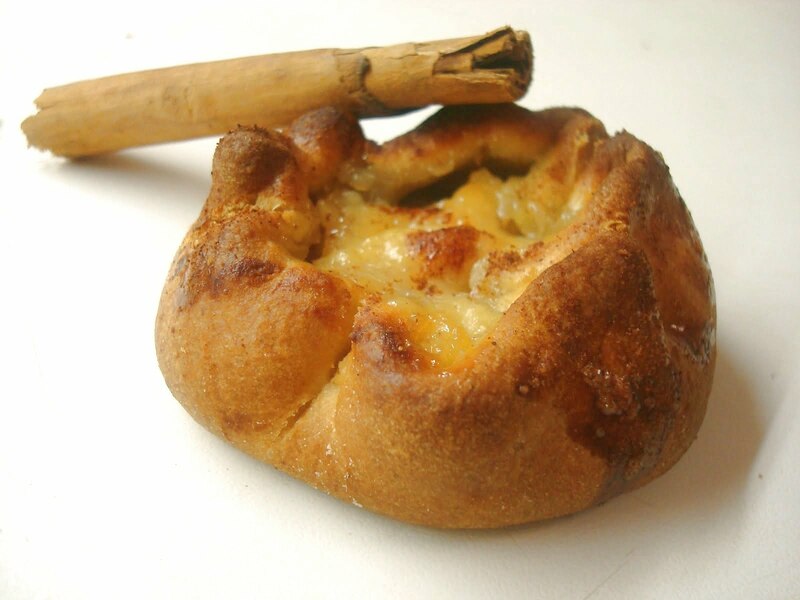 The cheese that is traditionally used is sweet mizithra. I couldn’t find it in England so I decided to ricotta as a substitute. I don’t know how traditional it is, since I’ve never actually tasted mizithra (shameful for a Greek, I know!). It tasted good though and that’s what matters! Having said that, it’d be great if someone who knows better can suggested a closer alternative or tell us how the two actually compare. Anyway, on to the recipe, which I got again from Elias Mamalakis’ website. Unfortunately, I have been lazy and not changed the measurements from the confusing cups system to metric. I do think though that both the pastry and especially the filling are not too sensitive to changes of the ratios. Whisk the olive oil with the sugar until smooth and creamy. Add the whisked eggs, the sugar and the yeast mixed with a teaspoon of the flour. Mix until smooth and then slowly add the rest of the flour until it reaches a workable consistency. Transfer onto a floured surface and knead for a few minutes. Place it back into the bowl and cover with a towel. Let it rest while you’re preparing the filling. This is pretty straightforward as you can probably guess. Whisk everything together. Don’t worry if it’s not very smooth, as long as the bits are bits of cheese rather than bits of butter. 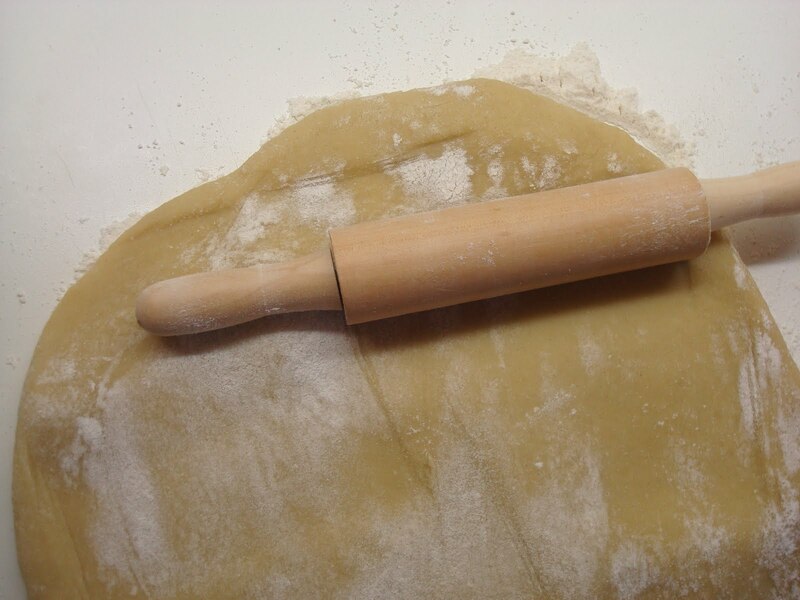 To assemble them, roll out the pastry into a thick sheet. 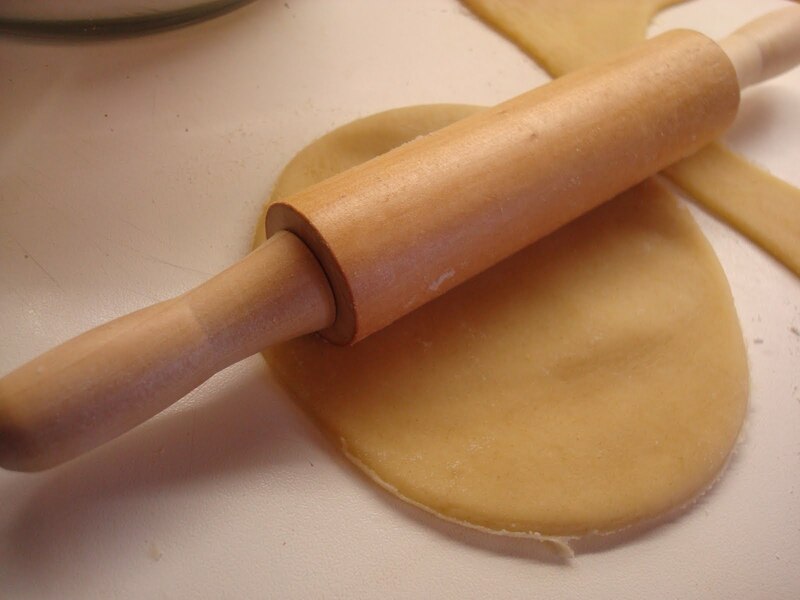 I did this with my joke rolling pin so it must be quite easy with a proper one. 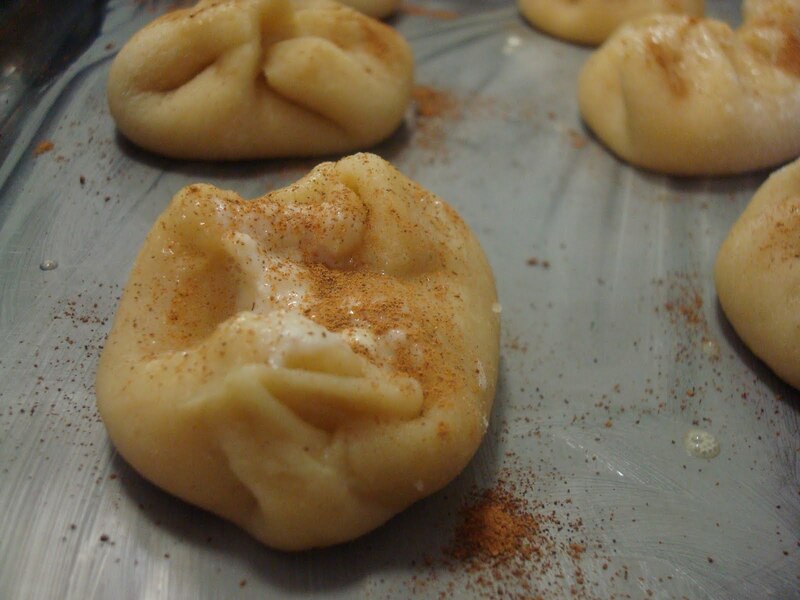 Using a glass, cut circles of dough and then roll them out a bit more to make sure they’re not too thick. Put a spoon of filling in the middle. I found the shaping a little bit tricky: the instructions tell you to lift the ends of the pastry and seal it at the top making 8 tips. I’m not sure if they are supposed to be completely sealed, mine opened up a little, either after shaping or during cooking. I don’t think it really matters. Place them in a buttered tray and brush the tops with a little egg. Sprinkle with cinnamon and bake in a preheated oven (180 degrees Celsius) for 20-30 mins or until golden at the top. They might sound a bit labour-intensive but the dough is really quite easy to handle and, after getting over the fact that you can’t seal them properly, the shaping is okay too. In any case, the flavour will compensate you for your effort! 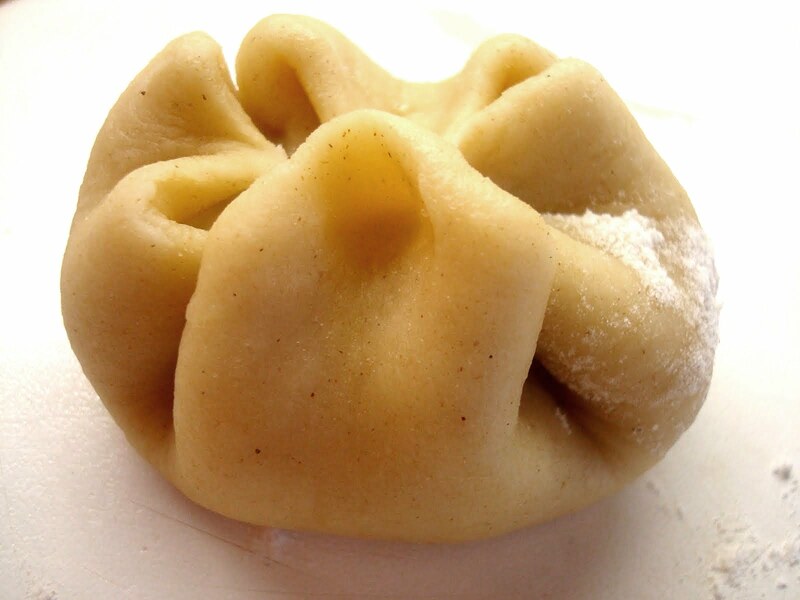 The pastry is crumbly and light while the filling is creamy and tastes fruity and sweet. Definitely worth giving them a go, and I’d love to hear about the results! Next time on Round the World in 100 Recipes: I think I might be overdosing on aubergines.